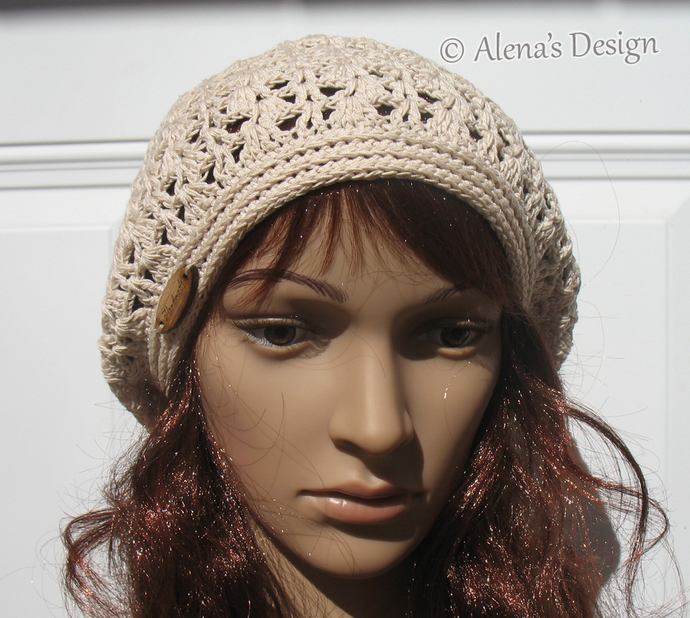 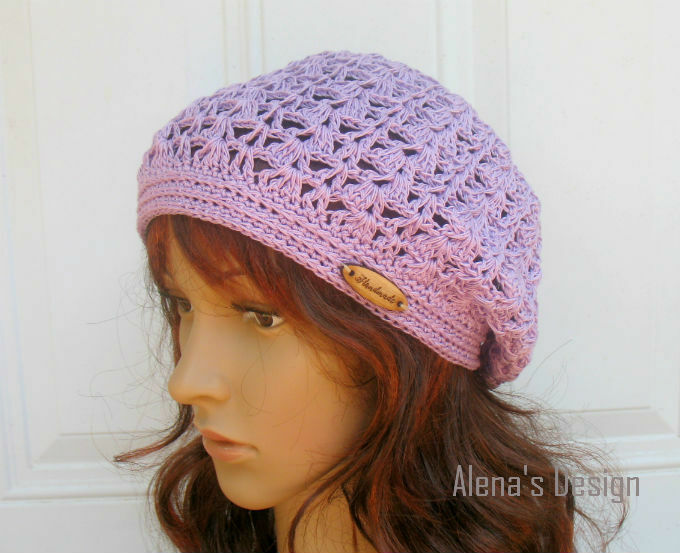 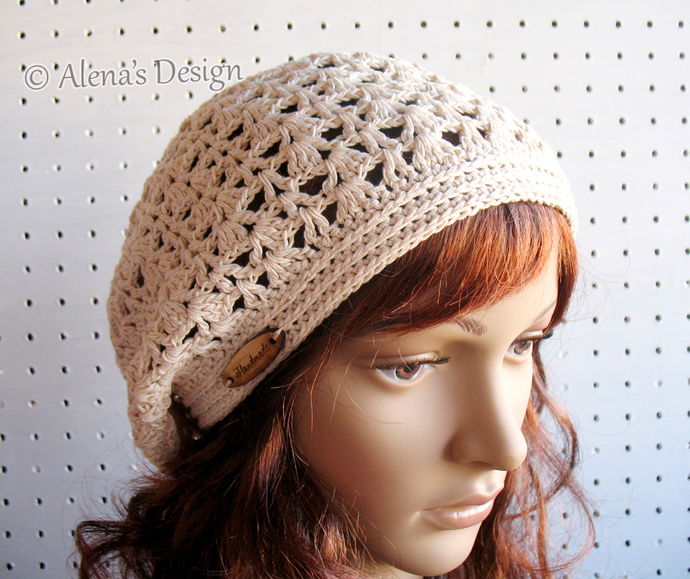 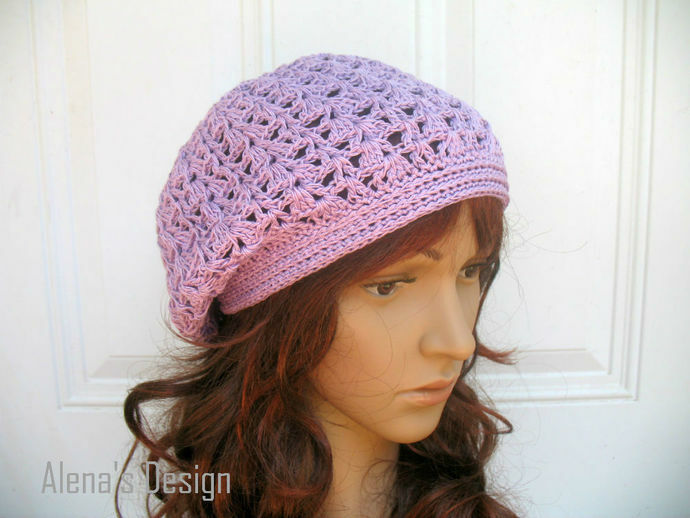 Lace pattern makes this hat look attractive, stylish, and extremely charming. 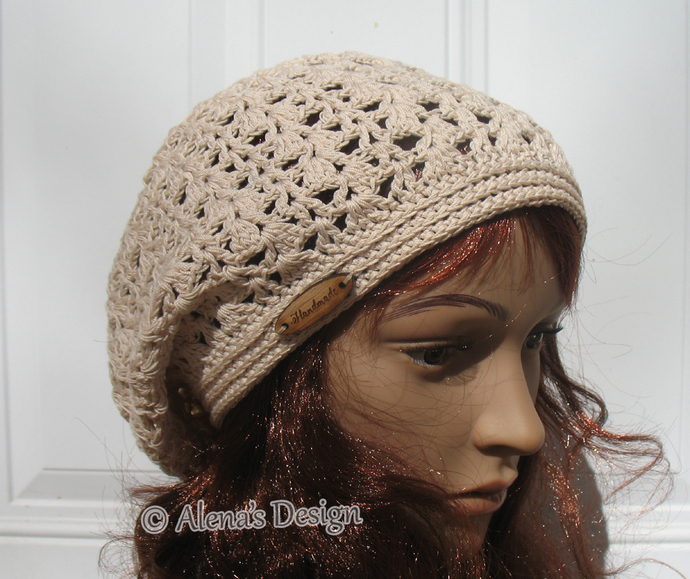 It protects top of head from sun, and also provides head warmth in windy weather conditions. 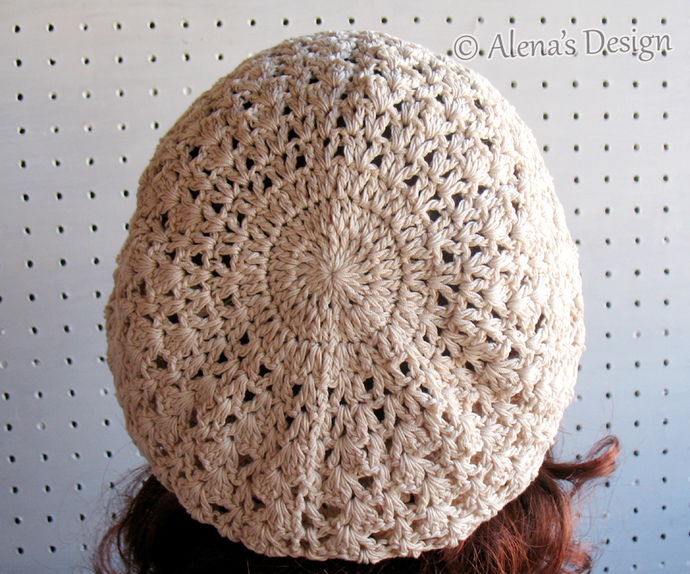 This hat also has many openings, so it is also good in warm weather. 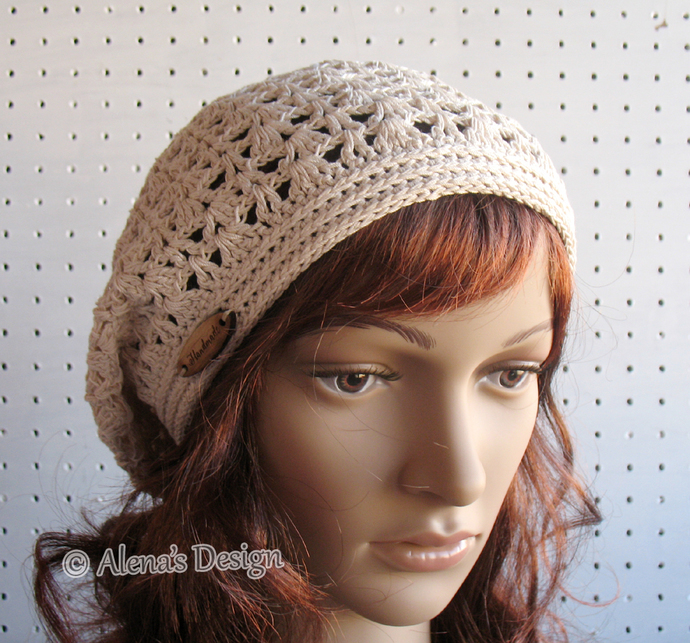 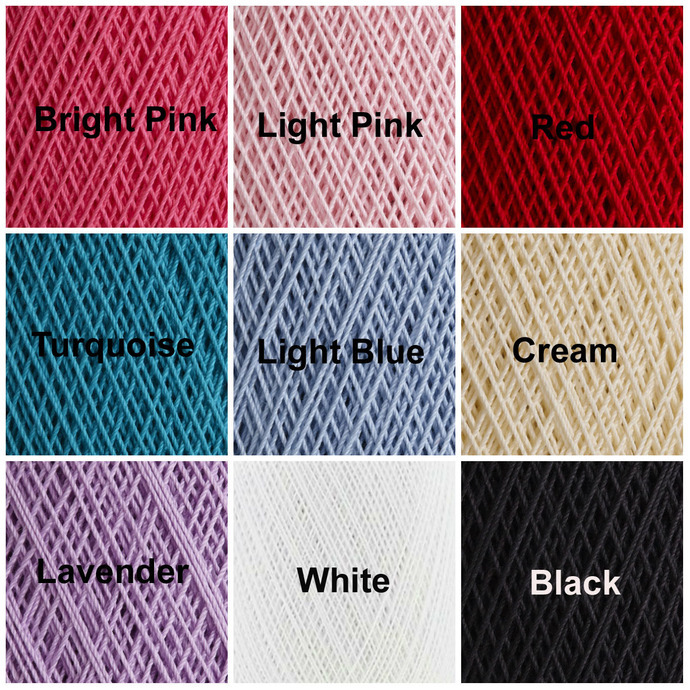 Made with 100% Mercerized cotton thread.